Hanlon Plumbing Ltd has a proven track record as the Hydraulic Design and Build contractor of choice within the Auckland market. We believe being the single point of contact for every aspect of hydraulic system minimises the risk and reduces overall costs for the main contractor and project owner. This philosophy enables us to assist and carry out preliminary through to construction level documentation, construction programming, early high level estimates all whilst ensuring the design is in accordance with the scope of works and specifications outlined by the Client. This also enables us to carry out value engineering during this entire process rather than after the fact, in turn ensuring the design is as efficient and as cost effective as possible. 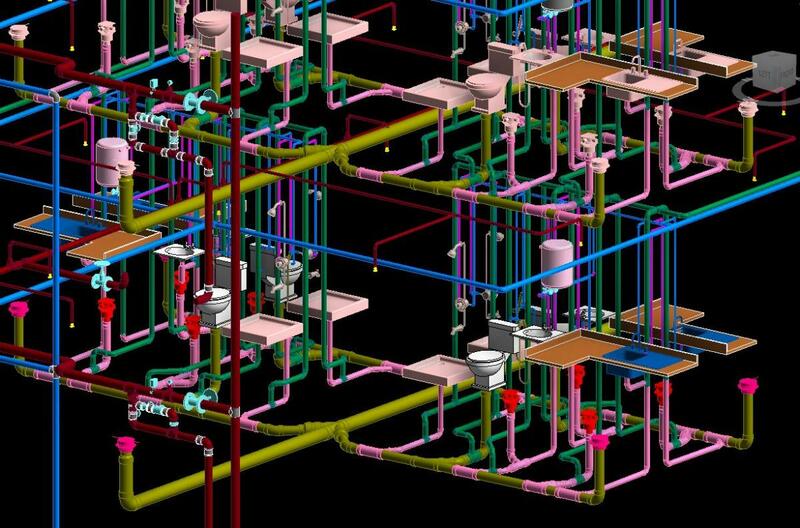 Building Information Modelling (BIM) is used extensively by Hanlon Plumbing Ltd as our design tool of choice. Collaborating quality information gives us a truly integrated - coordinated design that results in the delivery of a superior hydraulic system.